At Nexus, we are dedicated to safeguarding and preserving your privacy when visiting our website which includes all contents, web links, emails and other services and information along with the subsequent changes, hereinafter referred to as the “Website” or communicating electronically with us. We promise to respect and safeguard your personal information. We do update this Policy from time to time so please do review this Policy regularly. The information you supply may be used by the Nexus Group, its employees and Consultants to deal with your enquiry or application. Furthermore, we may also send you our electronic newsletters and keep you informed of our services or products, which we feel, may be of interest to you by post, telephone, e-mail or other means. Where we use your personal details to tell you about our products and services we will give you the opportunity to inform us if you do not wish your details to be used in this way. Additionally, in the event that you do not wish to receive such information and / or do not wish to be contacted by us, please email us at hotline@nexusadvice.com stating the same. Nexus Group may make user information available to government authorities if required for the purposes of compliance with applicable laws and regulations. Nexus Group does not sell, rent, distribute or otherwise make user information commercially available to any third party without your prior permission. Your personal information will at all times be held securely and handled with the utmost care in accordance with all principles of the laws of the relevant jurisdiction. By submitting your information you consent to your information being treated as described herein. Nexus Group is committed to protecting your privacy and takes its responsibilities regarding security of your information very seriously. Also, we follow strict security procedures in the storage and disclosure of information which you have given us to prevent unauthorized access. Please review the “Nexus Online / Client & Consultant Portals” Terms & Conditions below. You must make your own decision after taking all facts and information into consideration and having sought your own independent professional advice before making any decisions. Therefore we will not accept any liability for any claims arising as a result of the use of this medium. Furthermore, we reserve the right to make amendments and changes to the information on this “Website” at any time. No part of this “Website” may be copied or reproduced, stored in a retrieval system, or be transmitted in any form or by any means electronic, mechanical, photocopying, recording or otherwise without the prior permission of Nexus Insurance Limited. Furthermore, under no circumstance will NEXUS be liable for any feature, function (programming errors, other errors, links, rectification of the errors, updating and / or omissions) and safety (including loss/ damage of any personal data/information, or any loss whether foreseen, foreseeable, known or otherwise) mechanism built in the “Website”. 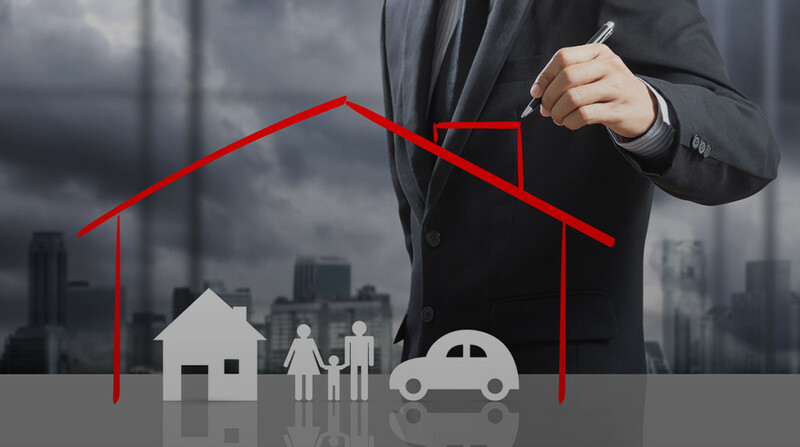 Nexus Insurance Limited therefore accepts no liability whatsoever for any direct, indirect or consequential loss arising from the use of this “Website” or the information. Your access to and use of this “Website”, and these “Terms and Conditions”, are governed by and will be constituted, construed and interpreted in accordance with the laws of the relevant jurisdiction, without regard to principles of conflict of laws. Any dispute arising from the usage of our “Website” shall be submitted to the exclusive jurisdiction of the UAE courts. In the event that any provision of these terms is held unenforceable, the validity or enforceability of the remaining provisions will not be affected, and the unenforceable provision will be replaced with an enforceable provision that comes closest to the intention underlying the unenforceable provision. The contents of the foregoing provisions shall not limit any specific provisions set out in the individual “Terms and Conditions” of particular products and services offered on or through this “Website”. Nexus Insurance Brokers LLC- regulated by the UAE Insurance Authority under registration number 207 and Commercial license number 583403. Nexus Insurance Brokers LLC – Abu Dhabi – Registered under Commercial license number: 1005402. Nexus Financial Services WLL – Kingdom of Bahrain – Registered under Commercial registration number 62254. Nexus Financial Services WLL – Qatar Financial Centre – Qatar – Authorised by the Qatar Financial Centre Regulatory Authority number 00099. Nexus Financial Services WLL – Lebanon – Authorised by the Ministry of Justice, Ministry of Economy and Commerce, Ministry of Finance under Commercial registration number 1013932. 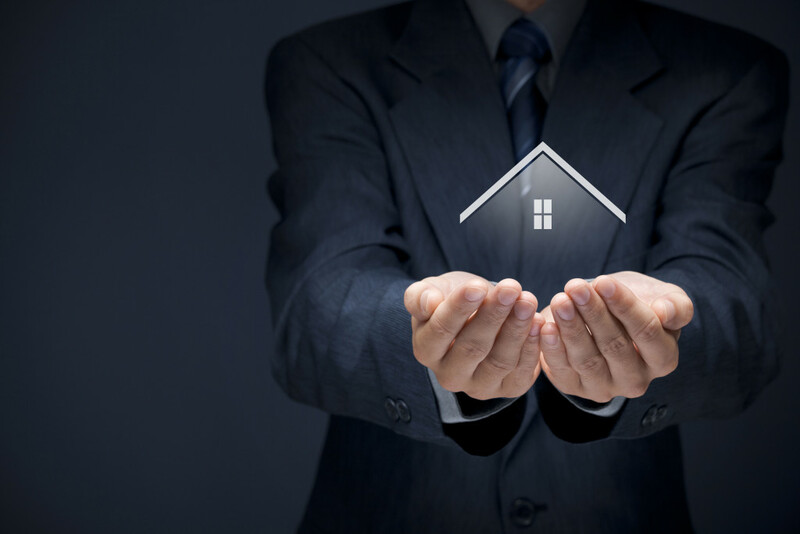 NEXUS companies are engaged solely in the brokerage of Insurance and Insurance related products and services. NEXUS companies are NOT engaged in any activity whatsoever except those activities expressly described on the “Website”. If you have any doubt about the products and services that you may have been offered, please ensure that you enquire with Nexus Compliance Department Compliance@nexusadvice.com in writing. Welcome to the Nexus Online / Client and Consultant Portals, hereinafter referred to as the “Portal”( which is deemed to also include the Software). These terms and conditions (“Terms and Conditions”) together with any additional terms and conditions applicable to any of the Products (“Policy Terms”) offered by the different Insurance companies (“Products”) under a contract of insurance between the Insurance Companies and the policy owner (“Policy”) govern how you may access, browse and use the Portal or any of the Products and services offered by the different Insurance Companies (“Third Party Products and Services”) as covered by these Terms and Conditions that Nexus would make available from time to time through the Portal enabling you and to gain access to Information and where permitted to input data or request action on the part of Nexus. By: (a) creating a unique username (“Username”) used by you to gain access to your individual Portal account (“the Portal Account”) and a secret word or string of characters chosen by you that is used for authentication (“Password”), to prove identity and to gain access to your the Portal Account; (b) accessing, browsing, inputting data, submitting material to or otherwise using the Portal by any means and via whatever device; or (c) registering your details with us to access certain areas of the Portal, you are entering into a legally binding agreement between you and the relevant entity from the Nexus Group of companies (Nexus Insurance Brokers LLC & Nexus Financial Services WLL & Nexus Financial Services QFCRA Branch & Nexus Financial Services (Insurance Brokers) L.L.C) as may be applicable to you (“NEXUS”) therefore acknowledging that you have read and understood and agree to be bound by the Terms and Conditions under which the Portal may be used and that furthermore, you are subject to the data protection laws and regulations of the jurisdiction in which the Nexus entity that is relevant to you is established. The Portal is operated by or on behalf of the relevant entity in the Nexus Group of companies (Nexus Insurance Brokers LLC / Nexus Financial Services WLL / Nexus Financial Services QFCRA Branch / Nexus Financial Services (Insurance Brokers) L.L.C) and its affiliates (“we” or “our”). You can find the details of all the entities in the Nexus Group of companies at the end of this document. For the avoidance of doubt; i) words denoting the singular will include the plural and vice versa and words denoting one gender will include all other genders, ii) headings in these Terms and Conditions are for ease of reference only and will not affect the interpretation of these Terms and Conditions nor have any legal or contractual effect and iii) the services and these Terms and Conditions have been designed to apply to different types of Products and different types of users therefore some of these Terms and Conditions may not apply to you. • To use the service provided by the Portal (“Service”)you must be registered by Nexus. • To enable you to gain access to the Portal, you will require a Username and a Password. • The Password together with your Username identifies you. • To register for the Service you will be required to hold and provide Nexus with a valid email address that has been registered with Nexus previously as this is the only email that would be recognized and accepted by the system. Nexus recommends that you use a secure email address that is only accessed by you. Should you choose to use an email address that is not secure, please note that this is done at your own risk. Nexus will use the email address provided by you when resetting your Password and for sending other important information about your User Account. • For security reasons Nexus may lock your User Account. • Nexus may establish other security procedures at Nexus’s sole and absolute discretion. • You agree to keep any security details (including Password) safe and not disclose your Password to anyone else. Nexus recommend that you regularly change your Password to optimise the security of the Service. Furthermore, you will advise Nexus immediately if you know, believe or suspect that such security has or may have been breached. Nexus will not be responsible for any Information incorrectly disclosed or any matter acted on, which is requested in writing, by telephone or on the Portal unless you have previously advised Nexus of a breach or suspected breach of security and Nexus have acknowledged your communication. Nexus will acknowledge your communication within a reasonable time. • You will be responsible for testing all downloaded data and Software for viruses or other disenabling or damaging software. Nexus will not have any liability for loss of or damage to data or any software arising from the downloading or use of data or Software from the Portal. • Please be aware that at times fraudulent emails may be circulated purporting to be from Nexus. • Please remember Nexus NEVER asks customers to enter their log-in details through email. o DO contact Nexus if you receive a fraudulent email. o DO contact Nexus if you see any suspicious activity when using the Portal. o DO NOT respond to an unsolicited email asking you to click on a link. o DO NOT open ANY attachments within any email purporting to be from the Portal. o DO NOT give out ANY personal or security details including your Password. • You must inform Nexus immediately of any change to your or as the case may be your clients’ name, address, telephone number, email address or any other relevant details. In the event that you fail to advise Nexus of the change of contact details referred to in this clause, Nexus will not be held liable for any disclosure by Nexus of Information using previous contact details provided by you. • You may request Information from Nexus and Nexus may release Information to you either in writing (including email), by telephone or via the Portal (where applicable). o Such disclosure of Information may cause Nexus to breach any contractual duty, law or other obligation. • Nexus may make available all or part of the Information to you on the Portal. You may, where the functionality exists, use the Portal to supply Information to Nexus, or to ask Nexus to make changes to Information or to your Policies subject to the Policy Terms. No change will be considered effective unless valid and accurate instructions have been received. • You acknowledge that illustrated funds, Policies or any statements made available on the Portal may be withdrawn or modified, as provided for in the Policy Terms and conditions. • You may print such pages from the Portal which you are permitted to access providing that you comply with the provisions set out in these Terms & Conditions. • You agree that when you access the Information on the Portal and / or use the Services you do so at your own risk and you acknowledge that, regardless of any security procedures put in place by Nexus, in accessing the Portal, Information may be at risk of being accessed by other unauthorized persons. • You acknowledge that the Information accessible via the Portal may not be available at all times. • You agree to access and use the Service in Compliance with all the applicable laws and regulations of any jurisdiction that may apply. o Block access to any part of the Service provided. • Nexus reserve the right to modify the Portal from time to time without notice and to withdraw the right to access Information via the Portal at any time without notice and without giving reason. • Use of the Portal is governed by Username, Password and/or such other security details requested by Nexus from time to time. Nexus are entitled to assume that any instruction or request given via the Portal when using the Password comes from you. • If your Username and/Password are lost, stolen or compromised you must report this to Nexus as soon as reasonably practicable. Responsibility for the loss, theft, abuse or consequences of such will remain with you. Nexus will acknowledge your communication within a reasonable time. • Nexus reserve the right to monitor any and all use of the Portal. • It is your responsibility to ensure that in accessing Information via the Portal you have at all times compatible software with which to do so, including but not limited to any Software provided by Nexus or changes resulting from updates to our systems. Any costs in relation to making such software compatible are for your sole account. • You will always effect access to the Portal via its home page and will not create or attempt to create links from other websites to any pages of the Portal. • You will not allow any pages of the Portal to be framed by pages from your own or third party websites. • The Portal may be used to effect communications between you, insurance intermediaries, introducers and/or third parties, either directly or indirectly by the facilitation of email communication. Nexus are under no obligation to monitor such communications. Nexus will be under no liability for communications which are not issued or expressly issued by Nexus. • When using the Portal you must not input or otherwise transmit information that might reasonably be regarded as offensive or obscene, or do anything which would amount to a criminal offence or create a civil liability for Nexus. • Where you access Information about any natural or legal person you warrant that you will only do so when acting on lawful authority. • Please note that we have posted your live policies as well as those lapsed policies where it may be possible to have them reinstated subject to the terms and conditions of the relevant provider. • The Portal provides Information which Nexus makes reasonable efforts to keep regularly updated subject to receipt of updated data from the relevant 3rd party providers. • Nexus makes all reasonable efforts to ensure that the Information supplied to you is accurate and complete. It is your responsibility to provide accurate and complete information to Nexus at all times as the Information is in part based on the information provided by you. You acknowledge that if you provide inaccurate or incomplete information this may result in the Information supplied by Nexus being inaccurate or incomplete. • You acknowledge that the Information accessible via the Portal is subject to change during daily processing times and any reliance on the Information is your responsibility. If you are in any doubt as to the accuracy or completeness of Information due to processing updates you are recommended to re-visit the Portal at a later time or contact Nexus. • You agree to inform Nexus as soon as reasonably practicable if you become aware of any inaccurate or incomplete information in either your details or in the Information accessed by you through the Portal. • Where you become aware that a defect in our Software or error to our systems has occurred you agree to stop using the Service immediately and to notify Nexus so that any Software defects or system errors may be rectified. • Nexus accept no responsibility for the partial or complete loss of any Information or requests input via the Portal by you. You must at all times make timely enquiries of Nexus if any expected response has not been received from Nexus, or you might reasonably think that a data transmission or processing error has occurred, or Nexus appears to have not acted on a request made by or through you. Third Party Products and Services marketed and distributed by NEXUS or offered by NEXUS through the Portal are available only at the discretion of such third parties and NEXUS and subject to the Third Party Products and Services individual contractual terms and conditions based on which they are offered and NEXUS’s Terms and Conditions. Such Third Party Products and Services may be withdrawn or amended at any time without notice. The full range of Products or services may not be available in all jurisdictions. Where we provide hypertext links to other locations on the Internet, we do so for convenience and information purposes only. Nexus has not verified, and is not responsible for, the content of any third party websites or pages linked to or linking to the Portal including any sites or pages of NEXUS and therefore, Nexus does not warrant or represent that any Information contained in a third party website that may be linked to the Portal via a hyperlink or any other link, is accurate, correct, complete or reliable. The inclusion of any link does not imply an endorsement, approval or recommendation of the linked third party website or its content by NEXUS and, subject to any applicable law which cannot be excluded, NEXUS makes no representation or warranty, express or implied, regarding the quality, merchantability or fitness for purpose of any Products or services available through a third-party website. Following links to any third party websites or pages is entirely at your own risk and we shall not be responsible or liable for any losses, damages or expenses or in any other way in connection with such linkage. You should use such websites in accordance with the terms of the website being entered. NEXUS reserves the right at its sole and absolute discretion to terminate this Agreement and your access to the Portal at any time, with or without cause or notice. NEXUS reserves the right at its sole and absolute discretion to change without prior warning or notice any information or material contained on the Portal including but not limited to the Terms and Conditions and we encourage you to revisit these Terms periodically to ensure that you are at all times fully aware of them. Any changes are effective immediately upon posting to the Portal. Your continued use of the Portal constitutes your agreement to the Terms and Conditions and all such changes. You may reproduce this information in hard copy solely for your personal use. The information may not be reproduced, distributed or transmitted to any other person or incorporated in any way into other publication or other material. All contents of the Portal including, but not limited to the text, graphics, links and sounds are the copyright of NEXUS (“Contents”) and may not be copied, downloaded, adapted, distributed or published in any way without the prior written consent of NEXUS. All materials on the Portal (including information and its arrangement) are owned by or licensed to NEXUS. In relation to any information or materials which you submit to NEXUS using the Portal, you hereby grant NEXUS a worldwide royalty-free perpetual license of the copyright and intellectual property rights in such information or materials for any purpose NEXUS deems appropriate including, without limitation, the copying, transmission, distribution and publication thereof, unless restricted by applicable law. Nothing contained on the Portal should be construed as granting any license or right of use of any trademark displayed on the Portal without the express prior written consent from NEXUS. o contains any virus or other harmful code, or which may otherwise impair or harm the Portal or our computer systems or any third party computer system, and we shall have sole discretion as to whether any material is in breach of this clause. o remove or edit any Content on the Portal at any time, and in such circumstances all liability of NEXUS, its affiliates, directors, employees or other representatives for any loss whatsoever arising from our removing or editing Content and/or your limited use of or inability to use the Portal (either in whole or in part), email services and/or password is excluded. You agree that NEXUS shall not be under any obligation of confidentiality to you regarding any such information or materials submitted to it using the Portal unless agreed otherwise in a separate contract between you and NEXUS or required by law. You acknowledge that the contents of the foregoing provisions shall not limit any specific provisions set out in the individual terms and conditions of particular Third Party Products and Services offered on or through the Portal. NEXUS reserves all rights not expressly granted under these Terms and Conditions, and no other rights are granted by implication or estoppel or otherwise. • Any contractual or legal relationship between you and NEXUS will be concluded in English. • All notices shall be given in writing to us or to you at either the e-mail or postal address you provide during the registration process (if any). Notice will be deemed received 24 hours after e- mail is sent or 3 days after the date of posting. • These Terms and Conditions, together with any variations to them, form the entire agreement between the parties concerning your access to, browsing and/or use of the Portal and supersede all prior agreements, arrangements, understandings and representations made between us (whether written or oral) concerning the Portal. • Nothing in these Terms is intended to or shall operate to create a partnership or joint venture of any kind between us or to authorize either of us to act as agent for the other, and neither of us shall have authority to act in the name or on behalf of or otherwise to bind the other in any way (including but not limited to the making of any representation or warranty, the assumption of any obligation or liability and the exercise of any right or power). • unless you have NEXUS’s prior written approval. • If any provision of these Terms and Conditions is found by a court of competent jurisdiction to be invalid, the court should nevertheless endeavor to give effect to the parties’ intentions as reflected in the provision, and the other provisions of these Terms and Conditions remain in full force and effect. • The failure of NEXUS to exercise or enforce any right or provision of these Terms and Conditions shall not constitute a waiver of such right or provision. No waiver by NEXUS of any provision of this Agreement shall be binding except as set forth in writing and signed by its duly authorized representative. • These Terms and Conditions are fully assignable by NEXUS and will be binding upon and inure to the benefit of our successors and assigns. • No waiver by NEXUS of any breach of these Terms shall constitute a waiver of any other prior or subsequent breach and NEXUS shall not be affected by any delay, failure or omission to enforce or express forbearance granted in respect of any of your obligations. • The rights and remedies of NEXUS under these Terms are independent, cumulative and without prejudice to its rights under the law. o You acknowledge that any breach of the warranties set out above may cause us damage or loss and you agree to indemnify us in full and immediately on demand against any third party liabilities, claims, costs, loss or damage we incur as a result of publishing material you submit to us, including consequential losses; and you waive any moral rights in all material you submit. • Except as stated below, all copyright and other intellectual property rights that may exist in or over the Information, the method of disclosure (including the use of Software in downloading such Information via the Portal) and the presentation of it (including trademarks, logos, etc.) are our exclusive property or licensed to Nexus. • You may not copy, reproduce, republish or disclose all or any of the Information received from Nexus by whatever method without our express prior written approval. • You may not copy, reproduce, republish, transfer to any other medium or use or adapt or modify, rent, lease, lend or purport to assign the Software or any part of it downloaded from the Portal, other than in a way contemplated by these Terms and Conditions, without our express prior written approval. • Subject to the other provision, Nexus give you permission to download or retrieve Information from the Portal provided that such Information will be used only for your personal activities and that you lawfully access the Information concerned. • You may not use, copy, modify, distribute, or reverse engineer any intellectual property licensed to or owned by Nexus contained in or accessed through the Portal, except as expressly permitted by these Terms and Conditions. • Whilst you acknowledge that we do not necessarily pre-screen any material that you have submitted to the Portal, we reserve the right to remove, at any time and without reason or prior notice or any liability to you, any material that you have submitted. Furthermore, we reserve the right (but not the obligation) to monitor any communications that are made via the Portal and you hereby consent to any such monitoring. These Terms and Conditions contain the entire agreement between you and Nexus and supersede all previous agreements and understanding made between the parties in relation to the Service. If you access the Portal jointly with another person or persons, your liability will be joint and several. You will indemnify and keep Nexus indemnified against any claims, liability, loss, damage or expenses incurred by Nexus arising from or in connection with any breach by you of your obligations or warranties to Nexus under these Terms and Conditions. Any insurance or investment Products or services detailed on the Portal are subject to the legal and regulatory requirements applicable in the jurisdiction in which you are first purchased that specific Product. Any dispute shall be subject to the exclusive jurisdiction of the courts of that jurisdiction. Products or services may not be available in all jurisdictions. These Terms and Conditions are governed by laws of the UAE. Any dispute shall be subject to the exclusive jurisdiction of the courts of the Emirate of Dubai. The Internet is a global environment and using the Internet to collect and process personal information necessarily involves the transmission of data on an international basis. By browsing this Portal you acknowledge and agree to our processing of personal information in this way. Nexus accept no responsibility or liability for the security of personal information transmitted via the Internet. The collection of personal information online is designed to assist NEXUS in providing you with the Third Party Products and Services you want and need. All personal information collected and stored by NEXUS is used for specific business purposes to protect and administer your accounts and transactions, to comply with the relevant laws and regulations of the UAE, and to help NEXUS better understand your needs in order to design or improve our Products and services. Once received by NEXUS, only NEXUS’s approved personnel may open and process the application. In addition, NEXUS requires all third parties with a business need to access this information to adhere to similar and equally stringent privacy policies. Personal information may be supplied to a third party in order to process customer transactions; if the customer requests it; the disclosure is required or allowed by law (i.e. exchange of information with reputable reporting agencies, subpoena, or the investigation of fraudulent activity, etc. ); or in conjunction with joint marketing agreements we have entered into. NEXUS does not provide account or personal information to other companies for the purpose of independent telemarketing or mail marketing of any non-financial Products or services of those companies. • we need to provide it to a third party in anticipation of or following a sale, merger of the whole or any part of the NEXUS group companies or in the course of a joint venture. As per privacy protection and information security policy, NEXUS never requests its customers to disclose the credit card information, user ID, login and transaction passwords or any such information through e-mails. Any e-mail or written communication received by the customer, which appears to have been sent from NEXUS seeking a customer’s personal and confidential information, should not be answered and NEXUS should be advised. The Portal is available subject to the Terms and Conditions governing the use of the Portal and such services may be withdrawn or amended at any time without notice. You are required to abide by the terms for access to the Portal. By accessing the Portal you indicate your acknowledgement and acceptance of the Terms and Conditions. If you do not accept the Terms and Conditions relating to the Portal, do not access and use the Portal. The Information and/or any other data on the Portal are provided for general information purposes and is subject to Policy Terms applicable to any such Product or service. The Information on the Portal does not constitute financial advice and you should not treat any of the Information provided or the use or the result of using any of the Services on the Portal as a recommendation of any particular Product or service or that such Product or service is suitable for your own circumstances. If you require financial advice please consult your Nexus independent financial adviser. NEXUS makes no representation or warranty of any kind, express, implied or statutory regarding the Portal or the materials and information contained or referred to on each page of the Portal. NEXUS accepts no liability for any loss or damage arising directly or indirectly from action taken, or not taken, in reliance on material or information contained on the Portal. In particular, no warranty is given that the information, material or data is accurate, reliable or up to date. The data and information do not constitute specific advice but are for information purposes only. NEXUS accepts no liability and will not be liable for any loss or damage arising directly or indirectly (including special, incidental or consequential loss or damage) from your use of the Portal, howsoever arising, and including any loss, damage or expense arising from, but not limited to, any defect, error, imperfection, fault, mistake or inaccuracy with the Portal, its Contents or associated services, or due to any unavailability of the Portal or any part thereof or any Contents or associated services. NEXUS does not warrant that the Portal, any online tools, software, information, Content or online services will be error-free or will meet any particular criteria of accuracy, completeness, reliability, performance or quality. Any hyperlinks from the Portal exist for convenience only. NEXUS accepts no liability for any loss or damage arising directly or indirectly (including consequential loss) from the accuracy or otherwise of materials or information contained on the pages of such links or loss arising directly or indirectly from defects with such links. The sources of data in many cases is not NEXUS, therefore such data may not be accurate. Nexus expressly disclaim all express and implied warranties, including, without limitation, warranties of merchantability, title, and fitness for a particular purpose, non-infringement, compatibility, security and accuracy. While we take all reasonable precautions to prevent this, we do not warrant that the Portal or any software is free of viruses or destructive code. NEXUS’s inclusion of hyperlinks does not imply any endorsement of the material on such sites. NEXUS does not guarantee that any e-mail from the Portal will be sent to you or received by NEXUS nor does NEXUS warrant the privacy and/or security of e-mails during Internet transmission. The Internet connection may not be a secure form of transmitting data. Not all the services described in the Portal are available in all geographical areas. You may not be eligible for all the services described. Eligibility for any such services will be at the discretion of NEXUS and subject to applicable criteria and NEXUS’s Terms and Conditions. All Contents of the Portal including, but not limited to the text, graphics, links and sounds are the copyright of NEXUS and may not be copied, downloaded, distributed or published in any way without the prior written consent of NEXUS. NEXUS does not guarantee the safety of any transaction on the Portal nor does NEXUS warrant the privacy and/or security of transactions during Internet transmission. The Internet connection may not be a secure form of transmitting data and executing financial transactions. • any event over which we have no control. which you are located In the UAE the Portal complies with the prevailing laws of the UAE, as applicable. NEXUS controls and maintains the Portal from the UAE and NEXUS makes no representation that the material and information contained is appropriate or available for use in other locations/jurisdictions. All information and/or data on the Portal is provided on an “as is” basis. No representations, warranties or terms of any kind are made in respect of the Portal or the Content. • is not intended to be relied upon by you in making (or refraining to make) any specific investment or other decisions. • take or attempt any action that, in the sole discretion of this Portal’s operators, imposes or may impose an unreasonable or disproportionately large load or burden on the Portal or such operation’s infrastructure. Neither NEXUS nor any of its data providers or affiliates gives any warranty or guarantee relating to availability of the Portal or that the Portal and/or our operation of it, the Content or the server that makes the Portal available are error or virus free or free of other harmful components or that your use of the Portal and/or the Content will be uninterrupted. • events beyond our reasonable control. • The Portal getting hacked, cyber attacked, data stolen online or compromised, virus/malware infected, infiltrated, and/or compromised in any way shape or form whatsoever. • making the Portal easier for you to use and providing you with access to certain parts of the Portal. Nexus may also contact you about Third Party Products and Services available from NEXUS, and from selected companies outside the NEXUS group of companies, which we believe may interest you or benefit you. Nexus may do this by post or by phone unless you have told us not to; and by email, text or other electronic means if you have told us that we can or as otherwise allowed by law. You may tell us at any time if you change your mind. Nexus may monitor, record, store and use any telephone, email or other communications we have with you for training purposes, so that we can check any instructions given to us, for crime prevention and to improve the quality of our customer service. By using the Portal you consent to us using your personal information for the purposes described above. Please note that we do not store your credit card number in our company database. Online credit card transactions are conducted through a secure payment gateway hosted on a Secure Sockets Layer (SSL) enabled and trusted site. Nexus may run your accounts and provide other services from centers outside the UAE that do not have the same standard of data protection laws as the UAE. You are responsible for informing us that your personal details have changed: for example, a change of address or to your title. You can do this by logging onto and visiting your personal account / profile page on the Portal, or by email inside the Portal system.